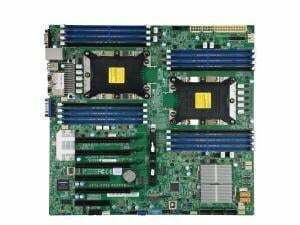 Product Overview This Dual Intel Xeon Scalable Processor Motherboard from SuperMicro, comes in a E-ATX form-factor and supports up to 2x Intel Xeon Scalable CPUs using the LGA 3647 Socket of a maximum TDP of 205W. Featuring 16 DDR4 DIMM slots, it can support up to 2TB of 3DS ECC RDIMM or 3DS ECC LRDIMM DDR4 memory across 6-channels, while a M.2 PCIe Slot is located on the mainboard for super-fast NVMe SSD drive. 4x PCIe x16 & 2x PCIe x8 slots open up a range of options for graphics, storage, co-processing or other expansion cards. 14 SATA3 ports are located on-board supporting the core RAID modes for your HDDs or SSDs, whilst Dual Gigabit Ethernet Ports are provided to support your network infrastructure. 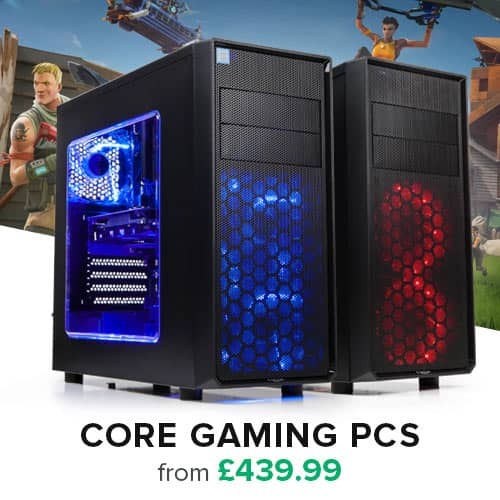 Features • Intel® Xeon® Scalable Processors., Dual Socket P (LGA 3647) supported, CPU TDP support 205W, 2 UPI up to 10.4 GT/s, CPU1: Skylake-F CPU supported. • Up to 2TB 3DS ECC RDIMM and DDR4-2666MHz, Up to 2TB 3DS ECC LRDIMM, in 16 DIMM slots. • M.2 Form Factor: 2260, 2280, 22110. • 2 PCI-E 3.0 NVMExpress x4 Internal Port(s). • Intel® C621 controller for 14 SATA3 (6 Gbps) ports; RAID 0, 1, 5, 10. • Dual LAN with GbE from C621.